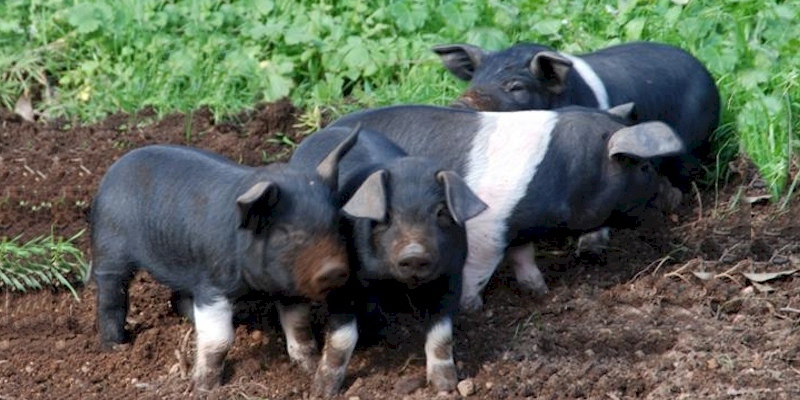 Wessex Saddleback Pigs, or Wessex Pig, are from the West Country of England, (Wessex), particularly in Wiltshire and the New Forest area of Hampshire. They are black, with white forequarters. In Britain Wessex Saddlebacks were bred with Essex pigs to form the British Saddleback, and as a result Wessex Saddleback are currently extinct as a separate breed in Britain. However, the Wessex Saddleback survives in Australia and New Zealand.